Remember it is important to take breaks when studying. “Brain Breaks” have been shown to increase retention and student achievement. 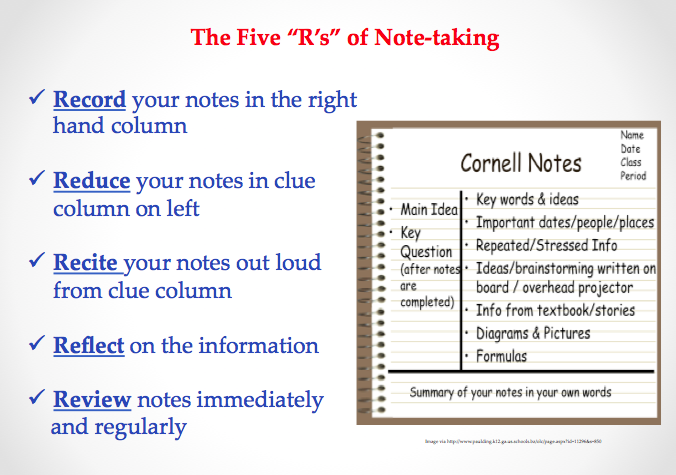 There are many different strategies for student note-taking. 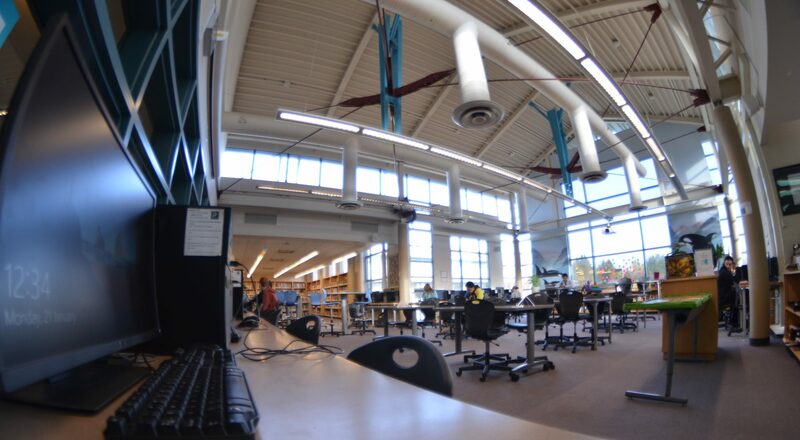 While some students like the old fashion note-cards, others like web-based tools like Evernote, OneNote, Notability, google docs, and spreadsheets. However, some of the easiest methods to use are still paper and pen – find something that works for you. You can use different coloured highlighters for different kinds of information, but don’t overdo it because it will become confusing. Also, don’t underline or highlight too much information. A really important paragraph should be summarized in your own words before you write notes. This will help with retention.